EASY TO INFLATE: With the new technology of our sleeping pad, anyone can inflate the sleep mat without any problems, even kids. Just pump air into the sleeping pad by stepping on it with your foot. MULTI-FUNCTIONAL, COMPACT, AND LIGHTWEIGHT: Camping sleeping pad is ultra-light, small, and perfect for indoor/outdoor sleeping. 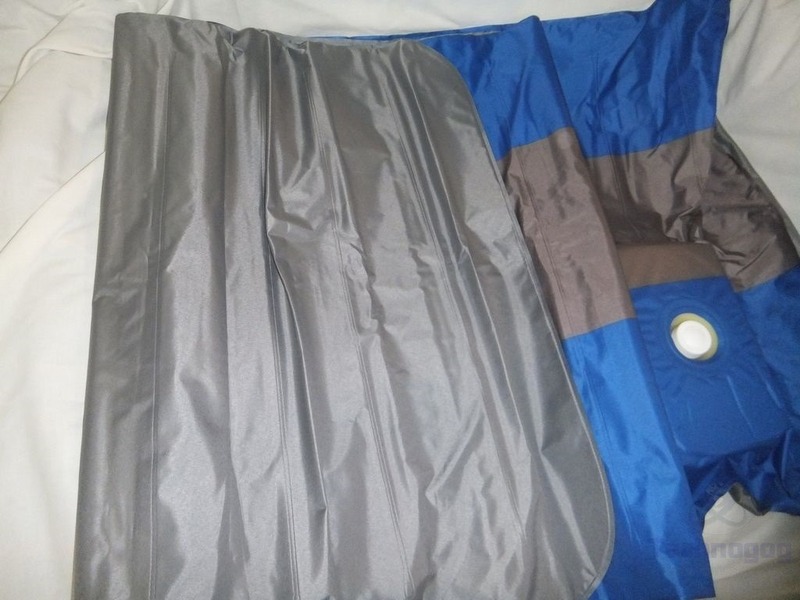 This sleep mat is ideal for the home, car, camping, hiking, and even swimming. 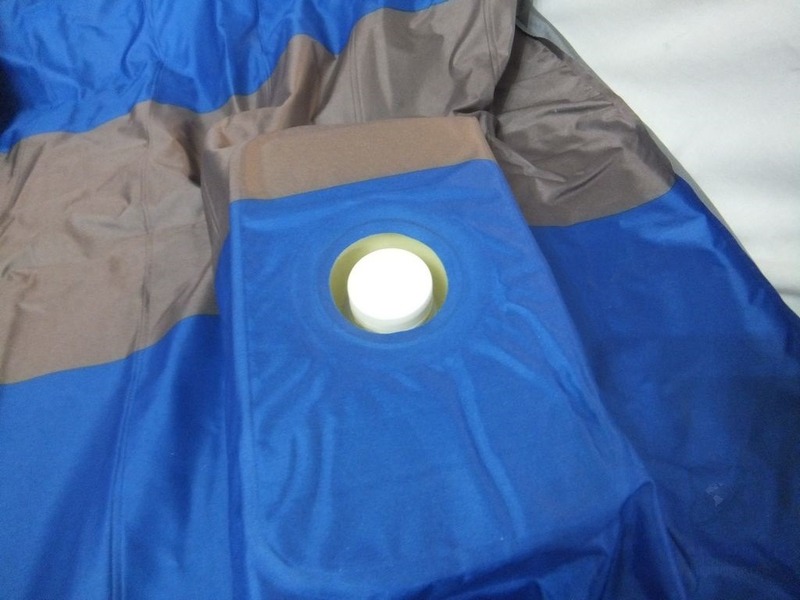 EXCELLENT QUALITY: Our sleeping mat will protect your body from the cold & hot, dirt & discomfort. 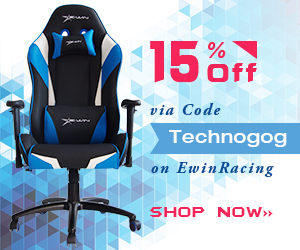 No harmful chemicals and has thermo and waterproof properties. The air sleeping mat is made of 250G/M2 spinning cotton and the lining is 190T polyester pongee – you can clearly see that the quality is high. 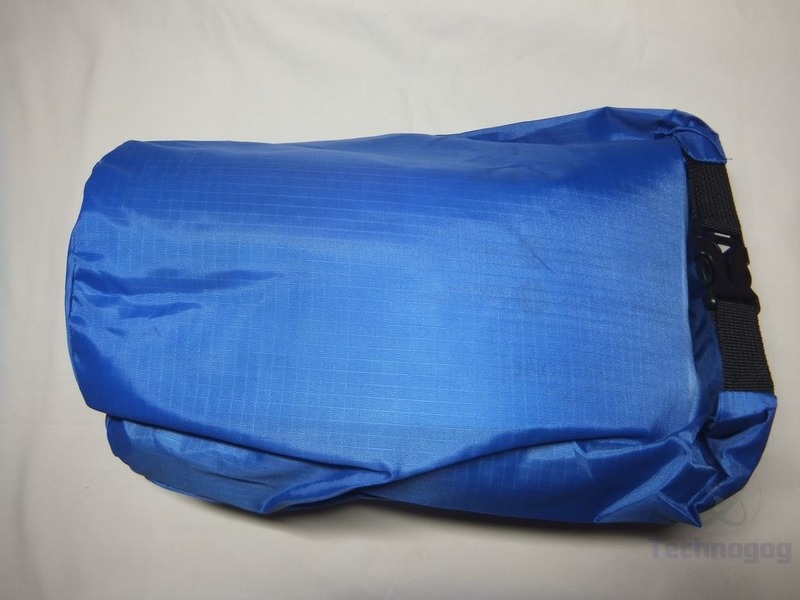 We ensure the long service life of our hiking sleeping pad. Don’t want to carry heavy things? 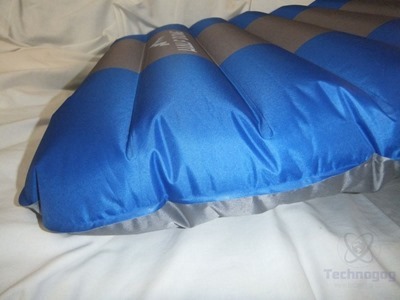 Our backpacking sleeping pad is ultra-light, compact, and space saving so traveling will become a pleasure. 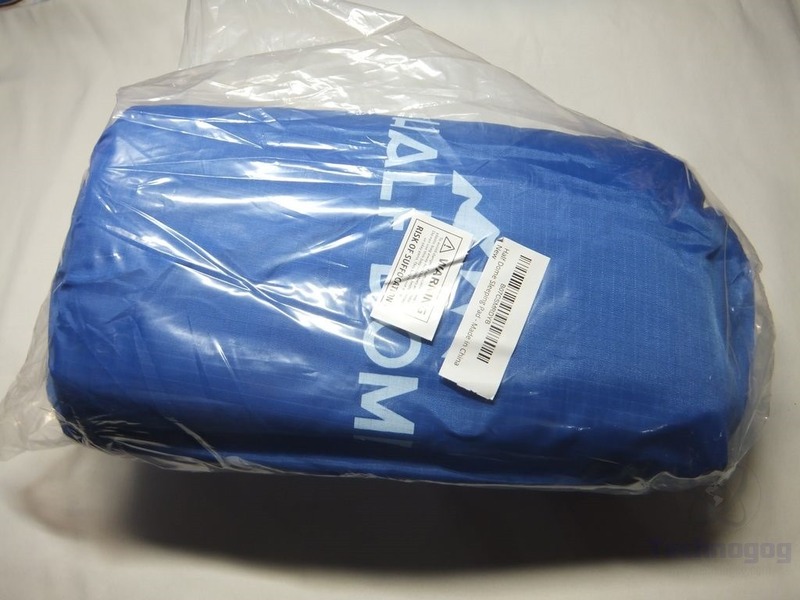 The Half Dome sleeping pad ships in just a plastic bag in a box, not exactly fragile so that’s fine. 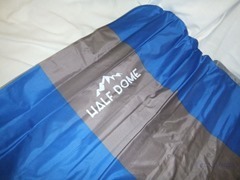 The pad is stored inside of a fairly heavy bag that deals and clips closed, it reminds me of a waterproof bag actually. 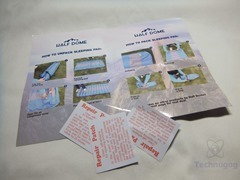 In the bag you’ll also find instructions for usage and three patches just in case you get a hole in the pad. 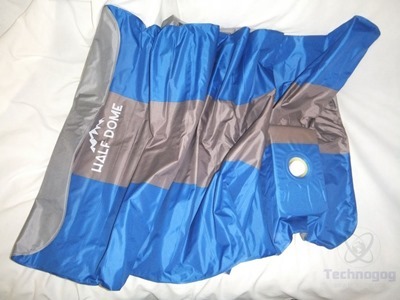 The pad is folded and rolled up tightly in the bag for portability, it is much larger than it seems for sure. It’s blue and gray in color and it has a shiny almost reflective appearance to it. The material is supposed to be waterproof and durable, it’s 80D polyester pongee with a PVC coating on it. 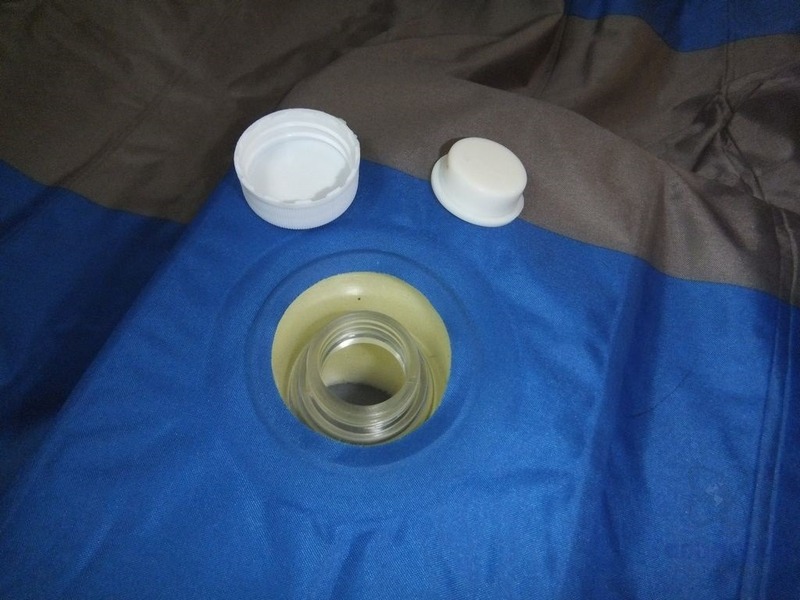 I did some quick searching and it seems this is a common material for camping and outdoor products. 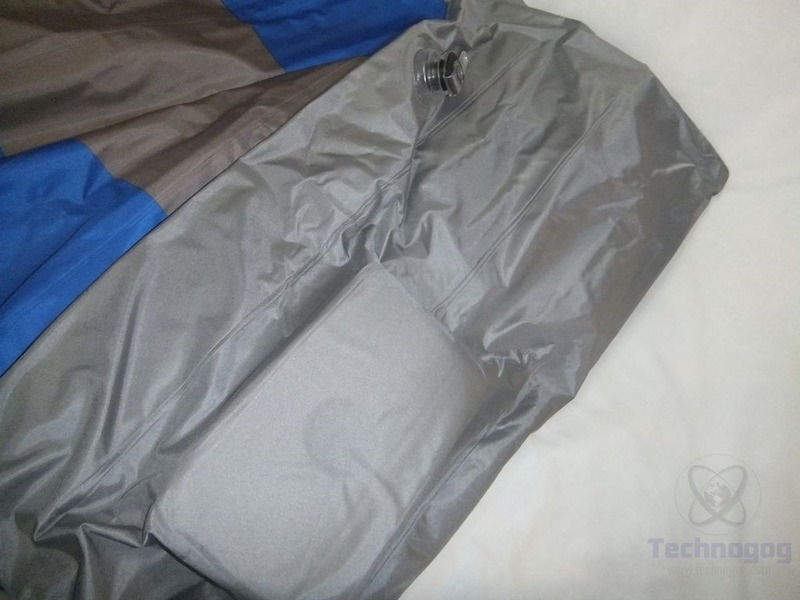 The material does have a slick feel to it, but it’s soft and should be comfortable to sleep on. 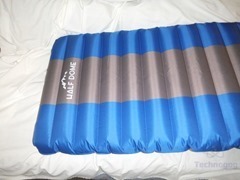 The built-in pump is a rectangular section at the end where your feet would be as I wouldn’t want to sleep on the lump myself. The pump has a white cap that you twist off but inside is a rubber plug as well that needs to be removed to use the pump. The instructions weren’t very clear about this as it looks like you just need to remove the cap. I tried inflating the mat with the rubber stopper in place and it works but very, very slowly, I mean it would have taken an hour or more to inflate it that way. I’ve never used a built-in pump like this before so what did I know? The picture for the instructions looks like you just remove the cap and then start pumping, but no you need to remove the rubber stopper as well as the cap. Once I figured that out it only took about 5 minutes to pump it up using my foot, it was very easy. On the bottom you can see the back of the pump but there’s also the air release valve to let the air out, it’s just a regular type rubber valve or stopper, just pull it out and the air comes out. The Half-Dome logo is located at the opposite end of the pump which I would assume would be the top end where your head would be. The colors on the top of the pad are the gray and blue but the bottom is solid gray. The pad is rectangular shaped but with rounded corners. 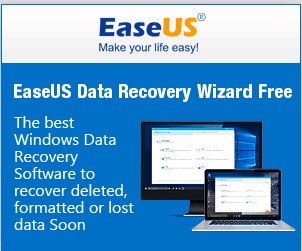 The dimensions are 75 x 24 x 5 inches, the specs list the dimensions as 87×31 inches which is wrong. Inflating the pad is quick and easy really, you can use your hand or foot, I used both just to test it out and either way works but I found it’s easier to use my foot. 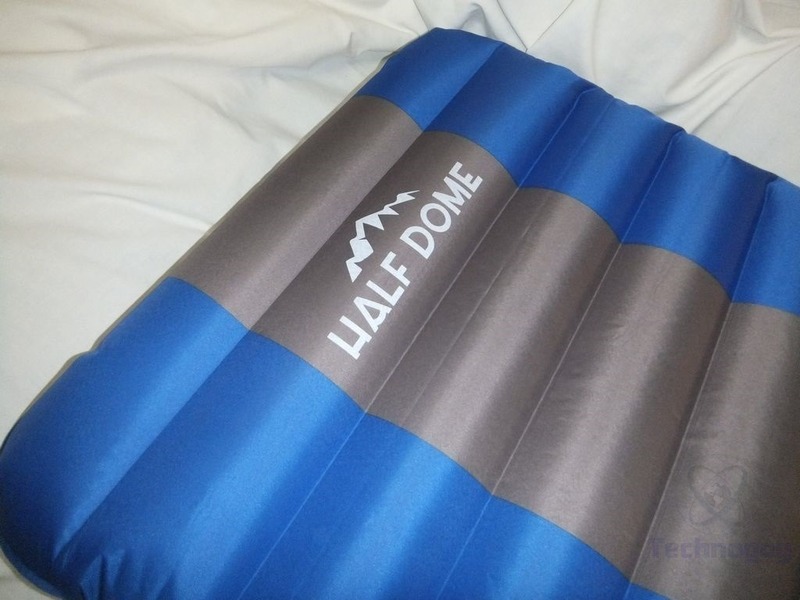 It took less than 5 minutes to inflate the pad to a firm thickness which is about 5 inches, but you can of course fill it less or more based on your desired comfort level, harder or softer to sleep on. 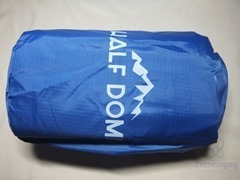 The Half Dome sleeping pad is a very nice choice for going camping and protecting yourself from the rocks and uneven ground and the weather as the pad is waterproof so you’ll stay dry even if the ground is wet. The built-in pump makes it easy and quick to inflate the pad with your hand or foot, but the instructions could have been a bit more clear on how to use it. The pad is nice and large once inflated, I’m 6 foot tall and it’s fine for me but it deflates and compresses to a small and portable size. All in all the Half Dome pad is decent in my opinion, it’s simple to inflate and the material seems durable.